This quilt matches a featured print with eight coordinating fat quarters. An added background along with an accent fabric will make a modern quilt. 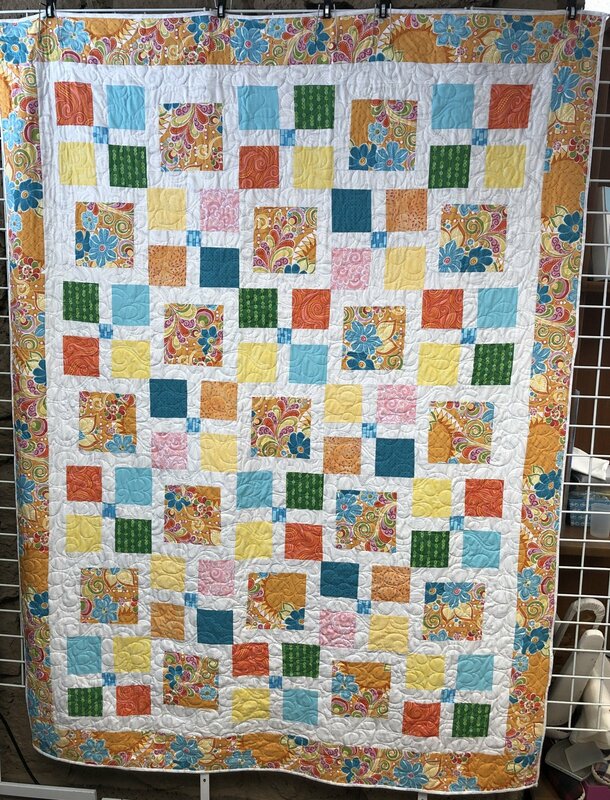 Beginning quilters as well as more advanced quilters will enjoy making this!